Dubai has a plan. In 16 years from now, 30 per cent of the population should be using public transportation. Last year, the public transportation community made up 13 per cent of the total population, while this was six per cent in 2006. On the concluding day of the UITP Mena Conference last week, the Road and Transport Authority (RTA) presented its public transportation master plan to speakers and guests from around the world. “The Dubai Metro, comprising the Red and Green Lines, is the backbone of public transport in Dubai where Metro riders savour state-of-the-art systems and facilities with top-class finishing, and super quality services,” said Mattar Al Tayer, Chairman of RTA. If everything goes according to plan, Dubai’s rail network will be 421km long and have 197 stations by 2030. Currently it is 75km long network with 47 stations. The plan includes the introduction and expansion of Dubai Tram as well as Dubai Metro, and is divided in three phases; by 2020, 12 stations should be added, while 58 more stations will be built from 2025 and 69 stations by 2030. Mohammed Abubaker Al Hashimi, Director of Planning and Business Development at the RTA presented the master plan with some of the latest graphics, revealing which communities will benefit the most if plans go ahead. The Green Line of Dubai Metro will be extended from Jaddaf to Academic City with 11 new stations. According to the map, the Green Line will connect to Festival City, and run through The Lagoon, where it will have two stations. 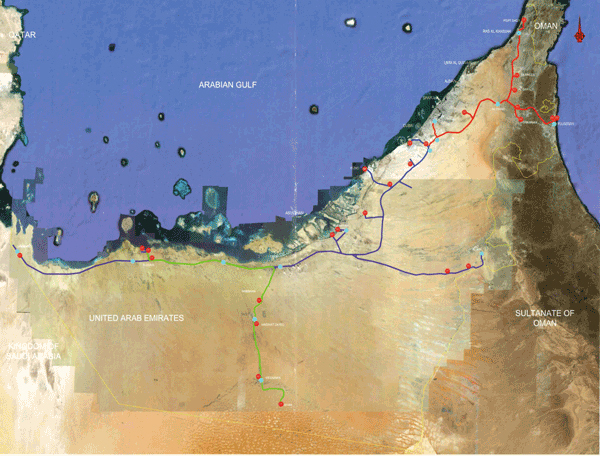 It will then proceed to the Ras Al Khor Industrial Area, where it will have two stations, and connect to International City with three stations. It will have one station in Silicon Oasis, and two final stations in Academic City. The Red Line of Dubai Metro will be extended at two ends, serving two different purposes. At the northern end, an extension will be constructed between Rashidiya and Mirdif, where it will have one additional station. 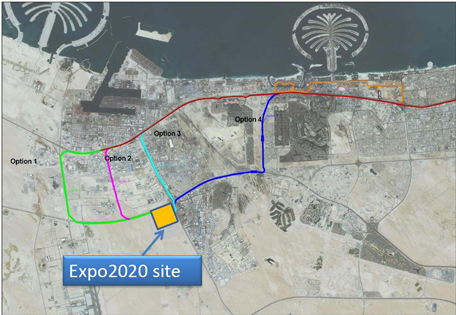 At the southern end, the Red Line will be extended to serve the Expo in 2020. This plan was recently incorporated, and has not yet been finalised. Four options are under consideration at the moment, explained Al Hashimi. 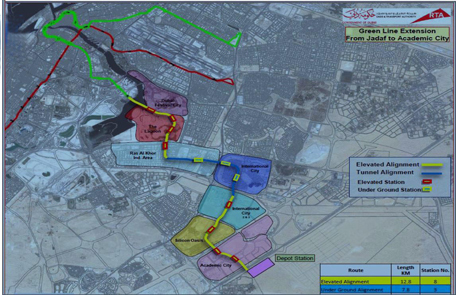 Three of the four options suggest a Metro link either passing by or cutting through Jebel Ali Free Zone, as the map indicates. A fourth option, however, shows a more radical alternative. The line would divert at the height of Dubai Marina, and pass Jumeirah Park to run parallel to Sheikh Mohammed bin Zayed Road. This option would include a station at Jumeirah Park, and another station near the International Media Production Zone, as the map shows. The Red and Green Line extension are currently under evaluation, and the detailed design should be formed next year, said Al Hashimi. Four additional Metro lines are in the pipeline; a Purple Line, Blue Line, Gold Line and Pink Line. Although these plans are long-term projects and subject to change, the map gives an idea of the potential Metro network. As it seems, the Purple line forms an important link through the emirate running from north to south, and connecting to all other possible Metro lines. “The idea is that the Purple Line would run from airport to airport,” said Al Hashimi. It would also connect to the Expo site, as the map shows. The Blue Line will run parallel to the Purple Line, while the Gold and Pink Line would form routes from west to east. All Metro lines will come together at Meydan. The Purple and Gold Line are set for the second phase, with work starting in 2025. By November of this year the tram will be operational. Eventually, the tram route will be extended to pass by Burj Al Arab, Mall of the Emirates and continue all the way up to December 2nd Street. According to the RTA, the tram will be most popular in the area between Palm Jumeirah and the two Metro stations – Dubai Marina and Jumeirah Lake Towers. In this area, the tram will make a one-direction loop, serving Jumeirah Beach Residence, Jumeirah Lakes Towers and Dubai Marina. 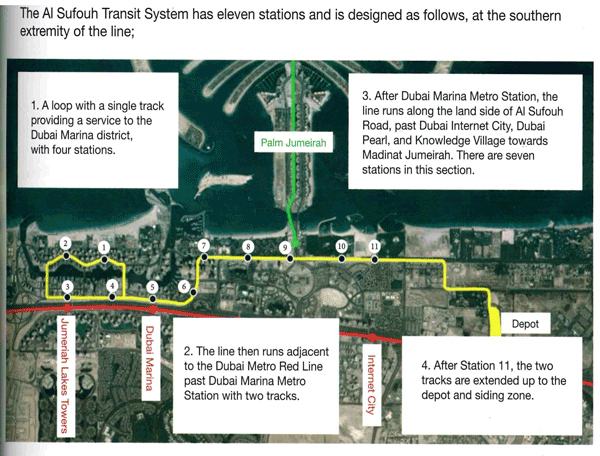 From Dubai Marina, the tram will run in two directions. It will run parallel to Sheikh Zayed Road and connect to the Palm Monorail. Until it reaches the final station, the Tram will serve Knowledge Village, Internet City, Umm Suqeim 3 and the Sufouh area. For the first time, the Etihad Rail network has appeared on the map of the RTA. The route of Etihad Rail and its connection to the Metro network has not yet been finalised, but plans are in the making. Earlier this week, Faris Al Mazrouei, Acting CEO of Etihad Rail, said there are plans for four train stations in the emirate, which will correspond to the train route shown on the map: the train would serve Jebel Ali Port, the Expo site, Dubailand and Meydan. As the map shows, the train network would connect to Dubai Metro at several points, most importantly at Meydan and at the Expo site. “We are studying the connection with Etihad Rail at the moment. “The connection to the rail network is one of our main concerns. We want people to be able to use the train,” Abdul Mohsen Younes, CEO of the Strategy and Corporate Governance Sector at RTA, said. Etihad Rail will form a link between several emirates and a connection to Oman and Saudi Arabia. It will form a direct link between Abu Dhabi and Dubai, from where it will continue to Sharjah, Ras Al Khaimah and Fujairah.